In 2015 the first edition of PAS 1192-5 (Specification for security-minded building information modelling, digital built environments and smart asset management) was published. It identifies the need to take appropriate and proportionate measures to protect asset information, providing useful guidance for asset owners and stakeholders. Importantly PAS 1192-5 sets out a triage process to identify the need for a security-minded approach with recommendations where the outcome of this triage process is that the built asset and/or a neighbouring built asset has a degree of sensitivity. But what should we (clients and design and construction team members) do, when the triage process results in ‘no identified need for more than baseline security measures.’ Do we know what this means – does ‘baseline’ mean do nothing more than we would usually do? The guidance and information you will find here provides useful tips and things to think about in adopting baseline security measures and it provides direction and context to published standards and recognised initiatives. It is relevant for any organisation engaged in initiating, leading and/or delivering design and construction projects. Everybody is responsible for making sure that the ethos of the baseline security requirements are adopted. Are you a project team member? Anyone planning to engage with a BIM project will need to understand the security concerns and requirements of the Employer/Client and demonstrate their ability to meet them. Be clear in any BEP response that security requirements are understood and demonstrate how you meet them. Always be aware of security requirements and abide by them – this includes making sure new team members are appropriately briefed. Consider your use or email and social media and any non-disclosure requirements. Apply access controls and permissions and monitor their use. Plan for the transfer of project information in a secure manner. Ultimately it’s about being confident in the resilience of your organisation and systems, applying the security requirements to manage risk and achieving a successful project outcome. The following process map sets out a basic approach to determining and implementing baseline security requirements. Selecting steps in the map will reveal simple guidance and will provide links to relevant standards and templates. The UK BIM Alliance also thanks Alexandra Luck, technical author of PAS 1192-5:2015 for her guidance and overall contribution. Whatever the nature or complexity of construction project envisaged, there is one single activity that should be carried out as early as possible in the project’s life - that is to apply the security triage process set out in PAS 1192-5. This is an activity carried out by the Employer/Client. Until and unless this is undertaken there is unlikely to be a clear understanding of whether or not baseline security measures are sufficient. Note the triage process can be applied to an existing or to be constructed built asset and its site. CPNI provides a helpful questionnaire to support the triage process. S4 = no identified need for more than baseline security. Then just file your triarge questionaire for reference. Complete your Employer Information Requirments (EIR) document with Baseline Secuirty Requiements. S1-S3 = Further Action required. Follow the guidence in PAS 1192-5:2015 Complete your Employer Information Requirments (EIR) document with the requried security provisions. Your EIR can be found here. Define the project strategy for file and data management using a common data environment (CDE) or other agreed system. How will the CDE be procured? Determine CDE procurement - direct by the Employer/Client or indirect via a member of the design and construction team. Ideally, the CDE will be operational early in the project's life. Additional Guidance on CDE Principles can be found here. Additional Guidance on Managing Access to the CDE can be found here. Additional Guidance on Outsourcing IT can be found here. BS1192:2007 + A2:2016 provides a structure for all files to be held on a CDE - from work in progress files through to contractual and archived files. Consider the extent to which this approach is to be adopted. Consider also if some files should be held outside of the CDE. Is there a requirement to restrict distribution of files by email? Issue of files by email, when there is a fully functional CDE can lead to confusion around the reliability of the CDE as a reference point. Consider the extent to which it is acceptable (or preferred) to issue files by email. Is there a requirement to transfer files from the CDE on completion of the project? Is there a requirement for structured file naming? Structured file naming is set out in BS1192-2007. Adopting a file naming approach will enable the CDE to operate efficiently and generates consistency across a project. Should room/space locations recorded in file descriptions be identifiable by activity or is a simple alpha numeric reference preferred? Often file descriptions note the activity within referenced rooms (i.e. 'plant room'). If it is preferred that activities are not noted, then rooms and spaces may be given an alternative reference code. Requirements should be noted in the EIR. Additional Guidance on Information Structures can be found here. Additional Guidance on Appropriate Use of Email can be found here. Are there specific plain language questions (PLQ) to include to check implementation of baseline requirements? 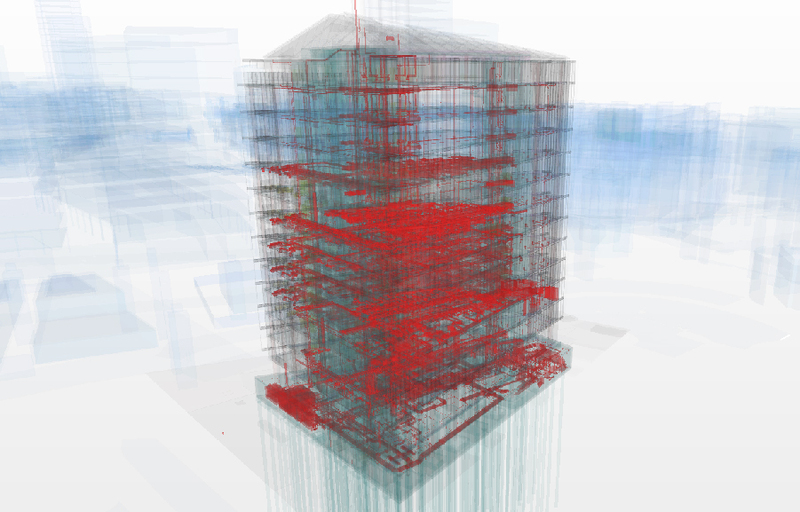 Are there specific requirements for BIM Execution Plan content (BEP) in respect of baseline requirements? A Guide to BEP Content can be found here. Additional Guidance on Plain Language Questions can be found here. It is important to ensure that design and construction team members understand Employer/Client requirements in respect of specific ways of working and/or behaviours - ideally understanding should be checked, not assumed. How is awareness to be established? 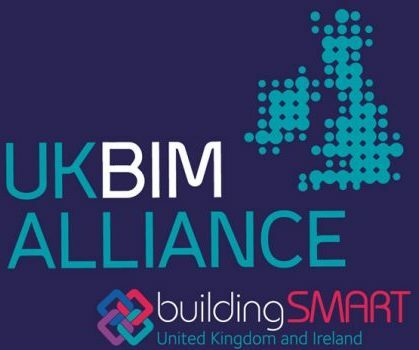 Consider procurement requirements for security; develop a design and construction team pre-qualification questionnaire including BIM experience and competence and any security assurance. Is certification to/compliance with certain standards required? PAS 1192-5 states that the UK Government recomments that all its suppliers should, as a minimum, meet the Cyber Essentials Scheme. There are two levels of badges that an organisation can apply for - Cyber Essentials and Cyber Essentials PLUS. Cyber Essentials requires the organisation completes a self-assessment questionnaire and responses are independently reviewed by an external certifying body. Cyber Essentials PLUS, in addition requires that tests of systems are carried out by an external certifying body. To get started a simple on-line questionnaire can be completed. Additional Guidance on Understanding IT Resilliance can be found here. Projects and project Employers/Clients are often publicly referenced by design and construction team members as a means of promotion and conveying capability. Should there be any restriction on reference to the project in CVs and case studies? Think about the extent to which the project/the site/the Employer/Client can be referenced in CVs and case studies - are there any concerns about certain information being made public? Should there be any restriction on reference to the project on social media? Consider the extent to which casual reference to the project/the Employer/Client via social media is acceptable.